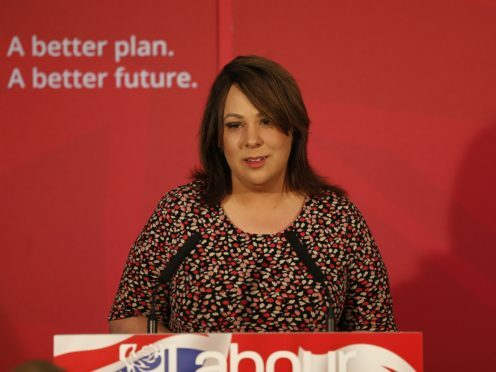 Labour MP Paula Sherriff has said she cannot remember the last time she did not receive abuse online, as she opened up about her experiences with hate speech on social media. The shadow minister for mental health and chair of the all-party parliamentary group on hate crime is one of a number of MPs who have spoken out on abusive comments online, having taken action against a man who sent her threats of sexual violence shortly after being elected as Dewsbury MP in 2015. “It seems more and more these days that people are using hate speech as part of everyday language, a lot of social barriers appear to have disappeared,” Ms Sherriff said on Wednesday at a Counter Hate And Extremism event hosted by Google. “It almost seems as if it’s acceptable to use hate language and speech that I actually thought we’d seen the back of in the ‘70s. The MP said she had hoped that attitudes would change following the murder of MP Jo Cox in June 2016. “I still struggle to come to terms with Jo’s death, but at that time, I genuinely hoped that her legacy would be a better world for us all – Sadly, how wrong I was,” Ms Sherriff continued. “As an MP I experience hate and abuse on a daily basis, I simply cannot remember the last day that went by that I didn’t receive messages saying, I’d be better off dead, that was last night. “That I’ll get what’s coming to me – most days. “That I’m a fat, useless, and a word beginning with C. The list is endless. The Dewsbury MP made the comments at an event to showcase 21 projects countering hate and extremism in UK communities, organised by Google’s charity arm, Google.org, and the Institute for Strategic Dialogue (ISD), which launched the initiative last year as part of a £1m innovation fund. “We’re now finding, particularly on things like extremist violent content on our platforms, the AI machine learning is taking down the vast majority of this, identifying it and taking it down before it’s even had a single view,” he said. Shadow home secretary Diane Abbott has previously urged Twitter to take action over “highly offensive racist and misogynist” abuse on the social network, after a major study found thousands of tweets disproportionately targeting black female politicians and journalists.